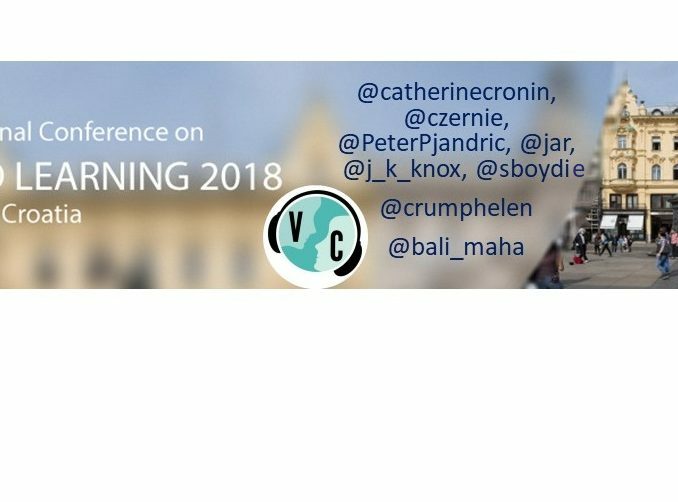 We are proud to be Virtually Connecting from Zagreb, Croatia for the Networked Learning Conference (NLC2018) with one session set for Tuesday, May 15, 2018 at 5 pm Zagreb time with a big group of onsite guests. Please find below the time conversion for your timezone, the embedded YouTube watch link for the session, which will be livestreamed and recorded, and the awesome guest list! Onsite guests are Catherine Cronin(@catherinecronin) , Laura Czerniewicz (@Czernie) , Petar Pjandric (@petarpjandric) , Jen Ross (@jar), Jeremy Knox (@j_k_knox) and Sharon Boyd (@sboydie). Papers for the upcoming Networked Learning Conference #nlc2018 are now available online @NLConf https://t.co/noB4yTnx45 – enjoy the great papers! Yes please I would love to join in with this is there is room !